Life Sciences spin-out company ex scientia has been named Young Business of the Year at the second annual Courier Business Awards which were held at Fairmont St Andrews on November 14. 600 local business leaders from Tayside, Fife and Perthshire attended the ceremony at which a total of 14 awards were handed out by host and television comedian Hugh Dennis, including 12 sector-specific prizes covering all aspects of the diverse economy of east central Scotland. Dundee biotechnology firm ex scientia beat 15 other entrants to be named Young Business of the Year. 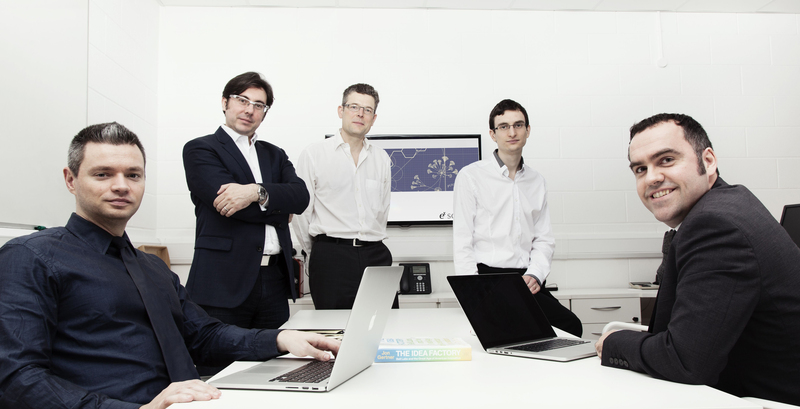 Pioneering automated drug design methodologies developed by Professor Andrew Hopkins at the University of Dundee led to the spin out of ex scientia Ltd in 2012. The company provides technologies to enhance the efficacy and the efficiency of drug discovery for the pharmaceutical industry. ex scientia Ltd was created in partnership with Frontier IP as a technology platform company operating at the IT/healthcare interface with the goal of revolutionising productivity by the use of data analytics and machine learning in drug design and pharmacogenomics. Three proof of concept agreements have already been signed and overall the company has signed deals worth $6.25 million (excluding milestones and licensing payments), with no dilution of equity.